It was a solid move. Records show that Pontiac was traditionally the third best selling make in Newfoundland, after Chevrolet and Ford. Vauxhall ranked fourth in sales. While Buick wouldn’t arrive in showrooms until the 1951 crop would bow in the fall of 1950, Vauxhall--now classified as a captive import--was sourced from GM’s British subsidiary. 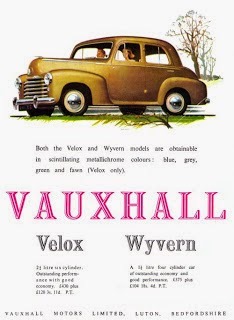 Prior to Confederation in 1949, Vauxhall had long been a trusted domestic make. When the new cars were unveiled each fall, the good folks at Terra Nova would show them off proudly to the public. Since there was no road across the island, vehicles were loaded onto the train and hauled to Grand Falls and Corner Brook where the company had retail operations. 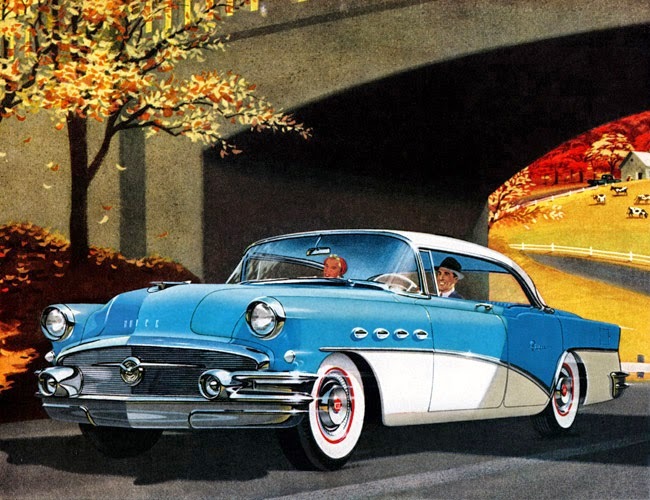 Registrations of new Buicks in 1951 added up to 97 units. In 1952 registrations rose to 104 and the figure rose to 110 in 1953. Buick sales plateaued. Of the 3,740 new cars sold in Newfoundland and Labrador in 1955, only 110 were Buicks—representing only 1.8 percent of the provincial sales pie. To successfully re-launch the majestic land yacht into the Newfoundland market, special measures were needed. GM, in cooperation with Terra Nova Motors Limited in St. John’s, would take them. Donald M. Clouston owned Terra Nova. The man was a driving force within GM’s dealer body and head office took note. More glitz and glamour was not the answer to increased sales. Buick had those attributes a-plenty. Designers had created the breathtakingly beautiful vehicle and engineers had perfected the soft, pillowy ride that was coveted by owners but the tri-shield lacked durability when put to the test on the province’s rough, unforgiving highways and byways--most of which were still unpaved in 1955. To report that Buick did not fare well on the province’s punishing road system is an understatement. Peter Clouston was 24 and worked in the family dealership located just off Water Street on Fort William Place. He recalls the story that unfolded in 1955. “Folks would take the cars out of town. Once off the asphalt, their Buicks could not handle the dirt and gravel roads. Frames would bend and crack. GM had to make special repair kits for the frames. It happened so often, Dad got after GM who flew two engineers to Gander. They took the train to Clarenville, where Dad picked them up for the (182-kilometre) trip to St. John’s on the unpaved highway. By the time the trek ended in St. John’s, thoroughly shaken engineers knew what they needed to do. They would create a Buick that could meet and exceed Newfoundland’s punishing roads. 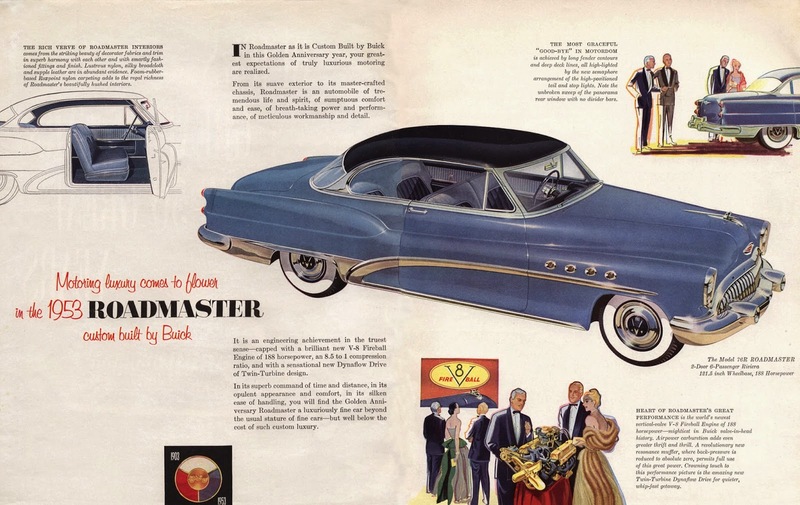 Buick’s reputation would be restored and sales growth expanded with substantial mechanical improvements. Beef and brawn it would be. When the engineers were finished with the task, Terra Nova Motors proudly announced the upgraded Buick for 1956. “Last year two BUICK Engineers came to Newfoundland at the request of TERRA NOVA MOTORS LIMITED and brought with them several experimental cars as well as a quantity of testing equipment. Right here on the spot, the engineers tested these BUICKS under actual Newfoundland driving conditions. They experimented, changed design and altered equipment to match the rugged roads Newfoundlanders drive over. As a result, TERRA NOVA MOTORS LIMITED now offers a specifically engineered NEWFOUNDLAND BUICK that is not available on the mainland or elsewhere. Throughout 1956 all BUICKS sold at TERRA NOVA MOTORS LIMITED will be NEWFOUNDLAND BUICKS. Throughout 1956 all BUICKS sold at TERRA NOVA LIMITED will be NEWFOUNDLAND BUICKS. These NEWFOUNDLAND BUICKS have heavier than standard frames, specially tempered springs, unusually powerful shock absorbers, all special features planned and road tested by BUICK engineers over hundreds of miles of Newfoundland roads to give us the NEWFOUNDLAND BUICK. The pricy pair of two- and four-door Newfoundland Buick hardtop convertibles was billed as ‘the best Buick ever’. Of the 3,817 new Buicks registered across the Dominion in 1956, the total came to at least 61 graceful and--now rugged--Newfoundland Buicks that beautified the province’s highways and byways. Thanks to historian Paul Sparkes via Gary Hebbard and to The Telegram (St. John’s, NL) for permission to reprint the advert. Special thanks to Doug Russell, Peter Clouston, Sally Clouston Johnson and my great buddy, Glen Ryan. Copyright James C. Mays 2014 All rights reserved.